Unlock Samsung Galaxy Exhibit T599 - Safe IMEI Unlocking Codes for You! 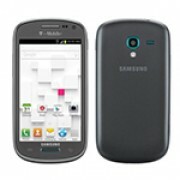 Unlock Samsung Galaxy Exhibit T599 Handset! In case your Galaxy Exhibit T599 doesn't ask for the code and there is no designated field to enter it, please DON'T PLACE ANY ORDER, contact us first for support. Unlock fast and easy your new Samsung Galaxy Exhibit T599 cell phone and use it with Any GSM SIM Card! In less than 2 minutes your phone will be unlocked after you receive the Code and our easy to follow instructions! All our codes we provide works for the latest handsets including Samsung Galaxy S 4 Mini, Galaxy Mega, Galaxy Core, Galaxy Note II and more! Here is The Full List of Devices! We are able to unlock the most GSM Carriers including SFR, O2, At&t, T-Mobile, Rogers, Fido, Bell, Telus, Vodafone, Orange and lots more. 2. Choose the original country and operator of your Galaxy Exhibit T599 and – not the one you wish to use after the unlock process! Note: Please remember that you can't cancel your order if it has been submitted and has begun processing and the turnaround times are average times and are not guaranteed. How to Unlock Samsung Galaxy Exhibit T599 Phone - Tutorial! Please find here the steps you need to follow in order to unlock your Samsung Galaxy Exhibit T599 handset. 1. Send us: the IMEI, the country and network where your phone is SIM locked and your email address where you want to receive the code! 2. After please check the price and availability and proceed to payment using a credit or debit card or your PayPal account. 3. 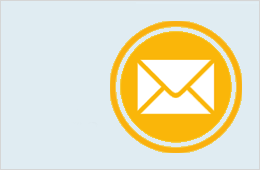 As soon as possible you will receive the code on your email. Do you unlock Canadian phones running on Wind network?